OUI Lawyer in Springfield | Law Offices of Tom Kokonowski, Esq. Stopped in Springfield for an OUI? Contact a Lawyer Today. “Operating Under the Influence” (OUI) is a serious charge in Massachusetts. Penalties can include jail time, hefty fines, the loss of your license, and potentially having to install an ignition interlock device on your vehicle. Additionally, having an OUI/DWI/DUI charge on your record can haunt you for the rest of your life, making it difficult for you to rent an apartment, obtain a professional license, or get a job, especially if the job would involve you operating a company vehicle or operating your own vehicle on company time. Do You Need a Springfield DUI Defense Attorney? 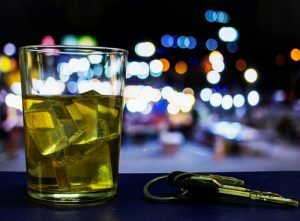 If you’ve been charged with driving under the influence of alcohol, the answer is yes — you absolutely need an attorney. Fighting the Massachusetts OUI system is difficult even with an attorney, and nearly impossible on your own unless you have significant knowledge of OUI laws and how they apply to your case. When you work with Criminal Defense Attorney Thomas Kokonowski, you can rest assured that your case is in good hands. Were You Arrested for a Springfield OUI Causing Injury Charge & Need a Defense Lawyer? Being charged with an OUI is quite different from being charged with an OUI causing injury. If you were involved in an accident that injured or even killed someone else, you stand to incur even harsher penalties. In this case, it is more important than ever to work with an experienced defense lawyer who can zealously advocate for your rights. Learn more about how to get a lawyer for help with an OUI causing injury case in Springfield.